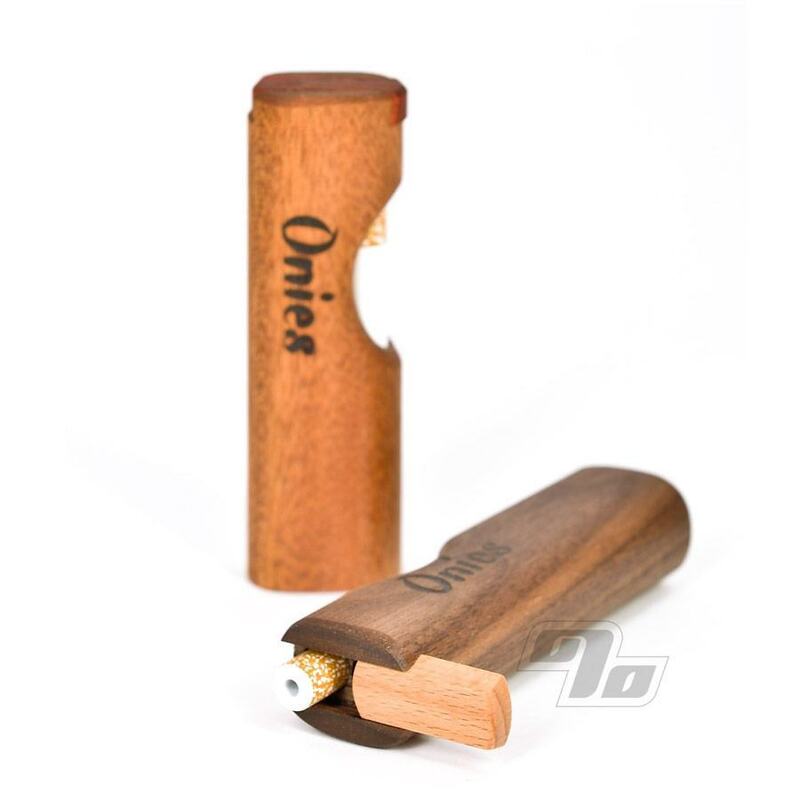 These cool lock-top wood dugouts from Onies feature an exposed full size cigarette style bat or "one-hitter" that doubles as the locking mechanism for the slide top. To unlock use your thumb to pull the bat down slightly then slide the lid open. No chance this dugout will be opening in your pocket or purse. Onies Slim Mini Dugouts while being smaller and sleek on the outside also manage to offer just as much storage as regular wood dugouts. 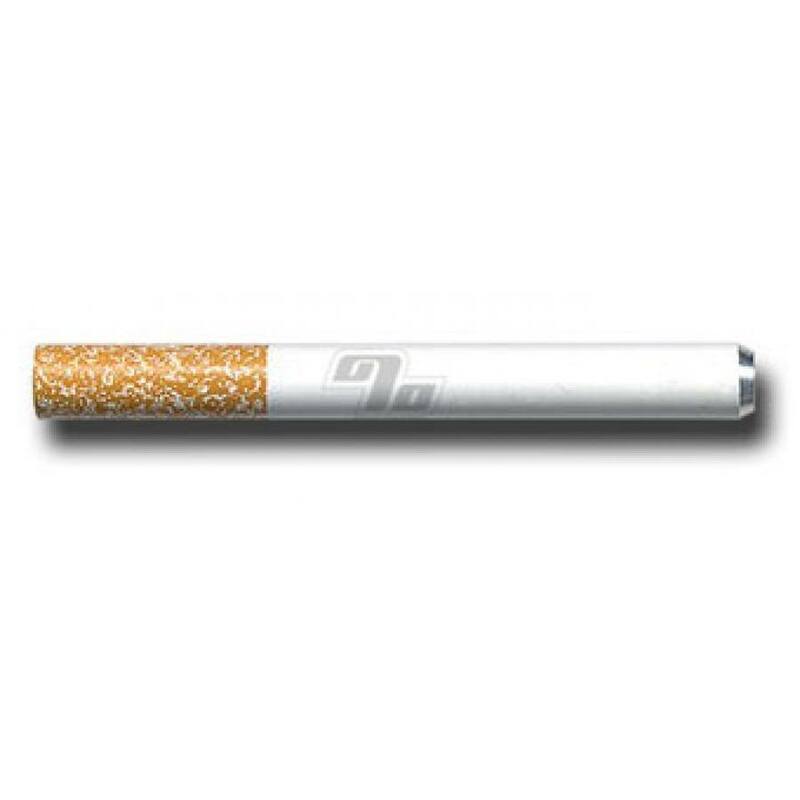 The slimness is a result of eliminating the non essential to focus on doing two things well; holding your cigarette style bat and herbs safe and secure. 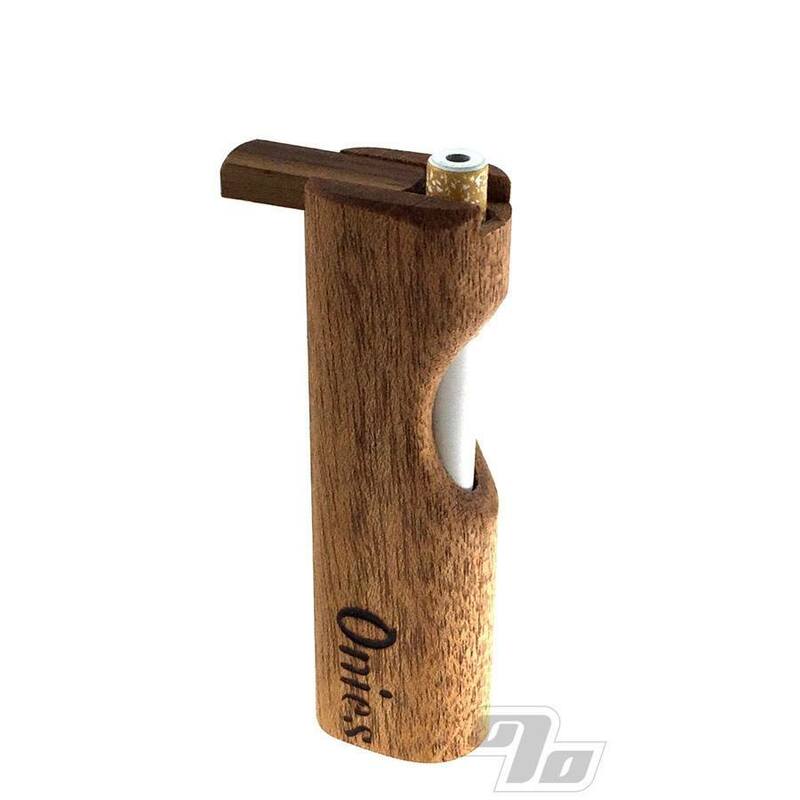 Onies Dugouts are each handcrafted in Missouri and use food grade mineral oils and waxes to condition the wood. The wood is a mix of sustainable American varieties including Cherry, Oak, Walnut and Mahogany. Approximately 2.75" x 1.75 " x .75" Wood type will vary and all dugouts are unique but feel free to specify dark or light. Great little dugout! Bought some large quartz bats to go with it & they are a TIGHT fit. I had to pull the spring out & trimmed it down in order to get it to come out of the lid lock. Works great and worth the trouble to use a glass bat instead of the aluminum that came with it. 5 stars here! Great piece only issue is the top piece minus the BAT slips right off. With BAT in place very stable lid. I like this thing a lot. It doesn't weigh a ton in your pocket and functions just as good as any other dugout. My only cons are that the lid didn't match the dugout and is a little wobbly. If the pipe is out, the slide will fall out in the direction of the herb reservoir, but stays firmly in place going in the other direction. It still works fine, and I really like this design. I'm using it with a Bucky Uno steel batty, and it fits perfectly. I love the shape and size of this mini dugout. Onies! Love it! Nice size to carry. I adore the lid locking part - you must push the bat down to release the top so it won't open in your pocket.